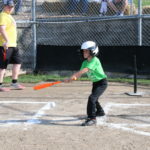 Participants will learn how to catch, throw, and bat in a fun team atmosphere. 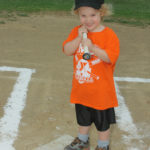 Formats include t-ball, coaches pitch and baseball and are open to kids ages 3-15. 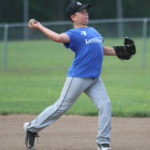 The focus of the league is to have fun, meet new friends and play in a non-competitive environment. Each participant will receive a t-shirt & hat. 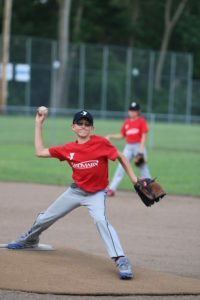 Whether your child is a beginner or has sights set on the major league, we build a strong foundation where players have fun, gain self-confidence and strengthen skills and teamwork. But most importantly, youth baseball at the Y is about more than just a game, it is about building the whole child, from the inside out. 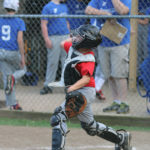 Youth Baseball registration is open! YMCA Golf League is a new league formed from a partnership with Junior Rangers Golf Academy. The League will provide a unique opportunity for boys and girls to learn and play golf in a team format. The focus of the league is to have fun, meet new friends and play in a safe environment. Best Ball League 10-14 yr olds. Deadline to register is May 10. 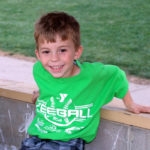 Buddy Ball is a non-competitive recreational league for boys and girls ages 5 to 20 with special needs. Each player is paired with a buddy to assist the player as needed on the field and in the dugout. 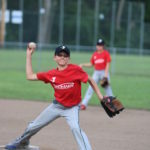 Not only do the players experience the thrill of participating in a baseball game, they also experience team play and camaraderie. Flag Football is one of America’s most exciting sports and this program will introduce your children to the fundamentals of the game. We lead drills and games that teach the skills and positions of football as well as important values that are used on and off the field, all in a safe, friendly, and supportive environment. 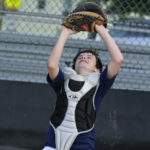 Kids will get a feel for football as they work on fundamentals of throwing, catching and playing as a team in this no-tackle sport. Did you know that Basketball was invented by the Y in 1891 at the International YMCA Training School? Dr. James Naismith was given the challenge of creating a game that could be played indoors during the cold winter months. Hanging simple peach baskets and using a soccer ball, Naismith created the game of basketball and wrote the first 13 rules of the game. Youth Sports may be cancelled in the case of inclement weather. If it’s raining or there is bad winter weather, please call (217) 257-8260 after 4:00pm Monday through Friday or 10:00am on Saturday and Sunday to find out if games have been cancelled for the day. This number is only updated in the instance of a cancellation. If you call and an old cancellation message is what you hear, assume the scheduled games are being played as planned. 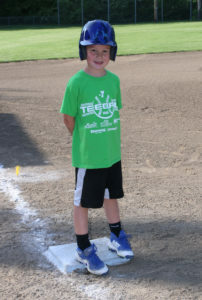 Attention Business Owners: Want to see your logo on shirts worn by kids all over town? How about on a sign at a ball field where over 1,000 kids enjoy team sports? 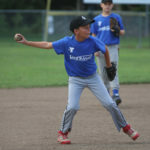 The Quincy Family YMCA offers many sponsorship options. For more information, contact us at 217-222-9622.